There is a lot to love about Melbourne. Undeniably one of Australia’s most progressive, interesting and popular cities, Melbourne is rich in culture and activity and is home to some of the country’s most exciting and popular festivals. Melbourne draws people from all parts of the world. Tourism is very important in Victoria and this Australian state offers a range of wonderful things to see and do. Melbourne is widely regarded as Australia’s food capital and is punctuated with world-class restaurants and beautiful cafes, bars, pubs and clubs. Melbourne offers great opportunity in terms of business, employment and study. A popular destination for students, Melbourne’s educational institutions are internationally regarded and offer courses in a wide range of areas, including some of the world’s best English courses. Melbourne is a great place to learn English and is understandably chosen as a perfect place to live and work while enhancing personal and career opportunities through confident use and understanding of the English language. Docklands Classic Film Festival: From May to July this year, free movies can be enjoyed each night from 7pm as part of this festival. Melbourne International Animation Festival (MIAF): For one week in June, (June 17 — 24) some of the most amazing new examples of animation will be featured as part of the MIAF. Themed, retrospective and special animation programs will be included as part of this festival. The Long Walk: On Saturday, May 19 the Long Walk will take place at Birrarung Marr and will culminate in The Long Walk to the Dreamtime at Melbourne’s beloved MCG (Melbourne Cricket Ground) at 6:30pm. Good Beer Week: Few would argue that Australians are passionate about beer, and so it makes sense that the festival of ‘Good Beer Week’ should be held in Melbourne. As part of the celebrations running from May 12 — May 19, more than 100 events celebrating beer will be held across Melbourne and in Victoria. Melbourne International Jazz Festival: Beginning on June 1, the Melbourne International Jazz Festival is a very popular and widely respected event that is all about celebrating life while enjoying wonderful music. Melbourne Writers’ Festival: Each year, Melbourne presents a fabulous writers’ festival and 2012 is set to be no exception. From August 23 — September 2, in excess of 300 writers from across the world will descend on Melbourne and engage in many intellectual discussions, debates, forums, workshops and other activities that stimulate imagination and creativity. Melbourne International Film Festival (MIFF): The MIFF is widely regarded as Australia’s most important and significant screen event. Melbourne comes alive as the MIFF takes place in the heart of the city. Melbourne Spring Fashion Week (MSFW): Melbourne is synonymous with fashion and enjoys the reputation and acclaim of being Australia’s fashion capital. From September 5 — 11, the best of Australian fashion — with a particular focus on Melbourne fashion design — will be showcased as part of the annual MSFW. There is never a shortage of activity and excitement in Melbourne. It is a dynamic, exciting and appealing city for so many reasons, and the fact that it offers an incredible range of festivals only serves to strengthen its reputation as one of Australia’s most creative, cultured and progressive locations. 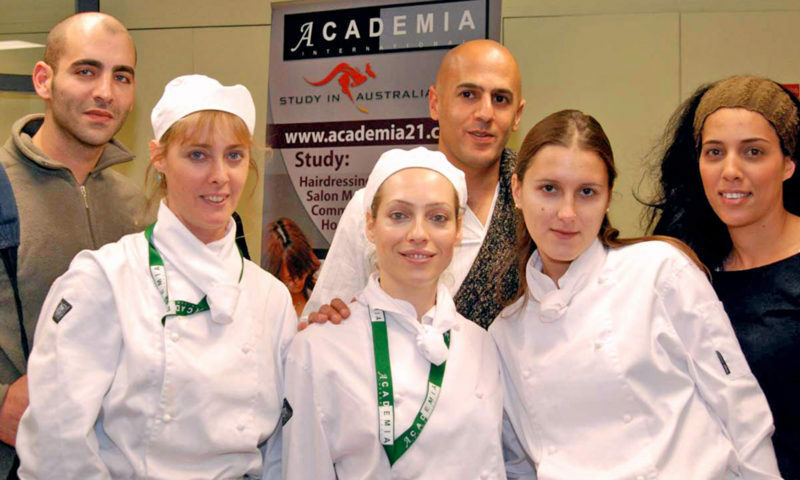 Previous PostPrevious Does Studying English Improve Your Chances of Working in Hospitality?